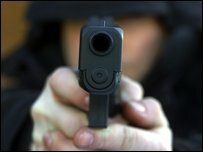 How do you solve a murder where a gang is involved, there is no evidence as to who inflicted the fatal blow, and no-one is talking? The answer lies in a powerful legal doctrine known as "joint enterprise". In short, it enables entire groups of people to be prosecuted for murder even though they may have played very different roles in a killing. Joint enterprise is not new - it has been around for centuries. If a killing took place in a duel, for instance, the law of joint enterprise would convict not only the duellers, but also the seconds and even doctors standing by ready to attend to the injured. 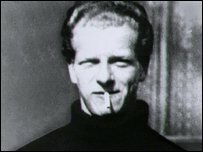 Perhaps most famously the doctrine was used in 1952 to convict Derek Bentley of the shooting of a police officer - the words "let him have it" forming part of the evidence of joint enterprise. The actual murder was committed by his accomplice Christopher Craig who escaped the death penalty because he was 16 at the time. The older Bentley was hanged in 1953. In a normal murder charge the prosecution have to prove that the defendant either intended to kill or cause serious bodily harm. But the law of joint enterprise is much looser and effectively allows someone to be prosecuted for murder if they foresaw that another member of the group might kill or inflict serious harm. There is a concern that this sets the bar too low for the prosecution, and in some cases leads to people on the fringes of a group being prosecuted when they are too morally remote from the murder to be charged with it. 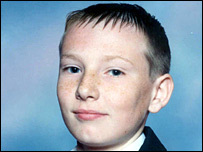 Lorraine Fraser's 16 year old son, Tyrone Clarke, was beaten and stabbed to death by a mob of up to 30 youths in Leeds in 2004. It is probable that none of the four men convicted of his murder actually struck the fatal blow. It was the law of joint enterprise that enabled the four to be prosecuted and convicted. For Lorraine Fraser though, all 30 should have been prosecuted. "If all them hadn't gone down there that day, Tyrone would have been alive today" she told the programme. "I blame all 30 - not just the four - and there's 26 more on the streets of Beeston who've got blood on their hands for my son." The law of joint enterprise places a heavy burden on young people in gangs and groups. They need to be asking themselves constantly who is in the gang, might they be carrying weapons and what might they do with those weapons? If they do not ask themselves those questions, and act accordingly, they could find themselves charged with murder. Rene John-Baptiste was one of four men charged with the murder of fourteen year old Martin Dinnegan. He was later acquitted along with another defendant of all charges, but says he was shocked when told he was being charged with murder. "I didn't have nothing to do with it - I was just there as well as a lot of others. "Obviously I was upset, because I knew I didn't kill anyone." 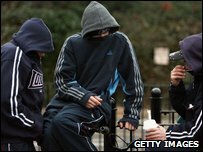 The police believe that a greater awareness of the law of joint enterprise among young people could have a positive effect in preventing gang violence. The Metropolitan Police are taking a proactive approach to informing young people about joint enterprise. They have produced a DVD in which a murder scenario is played out when a group of youths enter a playground. Each plays a different role - one hangs back, one turns away, one kills. The police play the DVD in schools to promote awareness and stimulate debate. The hope is that once young people appreciate the way the law operates, they will think twice about their involvement with groups and gangs and walk away before any trouble starts. Commander Simon Foy, head of the Met's Homicide and Serious Crime Command, is optimistic. "If you can get young people thinking about what they're doing, you're well on your way to educating them. "We are tapping into something which young people in particular just haven't thought about." If you have thoughts on any of the topics we have covered, or any other legal issues, you can contact us by email at lawinaction@bbc.co.uk, or by post at Law In Action, BBC White City, Wood Lane, London W12 7TS. Law In Action will be broadcast on Tuesday 30 June 2009 at 1600 BST on BBC Radio 4 and repeated on Thursday 2 July at 2002 BST.